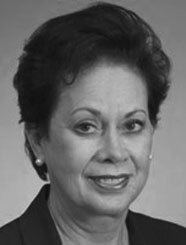 Ms. Marte Phillips has over 30 years of business experience and her areas of expertise include strategic planning and analysis, account management, marketing communications, and management. Prior to joining Generational Group and in her current role as Senior Vice President of Human Resources, Ms. Phillips has developed long and short-term corporate procedures and business development strategies ensuring growth and profitability through organizational business behavior best practices. She has implemented and managed contractual terms and detail, created interactive and traditional multi-million dollar marketing campaigns including management of copy and design, list development, direct mail, telephonic inbound/outbound communications, online promotion and television sales membership enhancement and retention marketing. Ms. Phillips has effectively managed more than 1,000 employees and continually built strong employee, client, partner and vendor relationships.